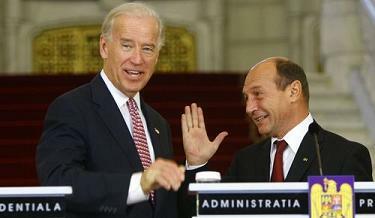 When Romanian President Traian Basescu disclosed on February 4 that his nation’s Supreme Defense Council had “approved a U.S. proposal that Romania takes part in the anti-rocket shield system” and that “Terrestrial interceptors will be located inside the national territory,”  many readers may have been taken by surprise. They need not have been, though, as the expansion of the U.S. global, layered, integrated interceptor missile system into the Black Sea was as foreseeable as it is inevitable. That he stipulated the year 2015 and mentioned the State Department’s Tauscher are both significant facts. Tauscher signed the agreement with Polish Deputy Defense Minister Stanislaw Komorowski last December to deploy American mid-range interceptor missiles and troops to the Eastern European nation. Two weeks ago Komorowski’s ministry announced that U.S. Patriot missiles and troops would be stationed at a Baltic Sea site only 35 miles from Russia’s Kaliningrad exclave. Russia was no more pleased with that news than about U.S. ground-based missiles being stationed in Romania, as will be seen later. Keeping in mind Tauscher’s longstanding role in promoting American interceptor missile plans in Europe, which will be examined in detail further on, the State Department nonetheless formally describes her role as Senior Adviser to the President and the Secretary of State for Arms Control, Nonproliferation, and Disarmament. Last year, two days after President Barack Obama and Defense Secretary Robert Gates announced on the same day, September 17, that the U.S. was abandoning plans to station ten ground-based interceptor missiles in Poland and transfer a modified X-band missile radar from the Kwajalein Atoll in the Pacific Ocean to the Czech Republic, Gates described in the New York Times the alternative project, what Obama characterized as a “stronger, swifter, and smarter” missile shield program far broader in scope and intent than his predecessor’s. The White House and the Pentagon had not retreated an inch on plans to establish an impenetrable missile shield along Russia’s western borders, one that could potentially threaten the nation’s strategic forces and disable its ability to retaliate and so credibly maintain a deterrence capability. In fact, as Gates explicitly stated, plans for ten ground-based midcourse missiles in Poland are to be superseded by several times more SM-3 and Patriot Advanced Capability-3 [PAC-3] anti-ballistic missiles as well as a proposed 50,000-pound mobile missile launcher  and ground-based missiles in the final analysis anyway. “The undersecretary of state for arms control and international security, Ellen Tauscher…said discussions are already underway with Poland to base missiles there, and talks have begun with the Czech Republic about making it the headquarters for command and control elements associated with the system. She was quoted saying “Remember, this is a NATO-wide European missile defense system as opposed to a bilateral missile defense system” and paraphrased vowing “there would be additional opportunities for allied countries to participate in missile defense. Not only missile radar but missiles themselves will be based in Southeastern Europe, substantially south of Poland and east of the Czech Republic. There is nothing new and nothing unsurprising about the announcement that American interceptor missiles are headed to Romania. As for Tauscher, there is no discontinuity with her work, either. She came to her current position in the State Department from that of chairperson of the Strategic Forces Subcommittee of the House Armed Services Committee in the U.S. Congress. During that tenure she was a consistently determined promoter of interceptor missile development and deployment. A brief chronology from the waning days of the George W. Bush presidency will document the unimpeded continuation of her efforts from the Bush to the Obama administrations. “The missile defence system must be fully incorporated in NATO and it must protect Europe and the United States, U.S. Democrat Congresswoman Ellen Tauscher told a press conference today….Tauscher also said that the radar base could not operate without the missile base in Poland. “House Armed Services strategic forces chair Ellen Tauscher (D-Calif.) told reporters Nov. 8 that final congressional defense authorization language for fiscal 2008 should hew to her subcommittee’s drive to ‘NATO-ize’ U.S. ballistic missile defense (BMDS) system efforts based in Europe. “Speaking to defense writers in Washington, Tauscher said she would like to see U.S. ground-based midcourse defense (GBMD) elements there [Europe] – like a proposed radar in the Czech Republic and 10 interceptors for facilities in Poland – become the ‘long-range’ aspect of a NATO system complimented by European short- and medium-range systems. Tauscher’s project for a more sophisticated, diversified, mobile interceptor system in Europe and its expansion into the Middle East, integrated with all 28 NATO member states and doubtlessly with several key partners, is well on the way to realization. Neither Poland nor the Czech Republic are excluded from the designs; rather the number of nations pulled into Washington’s missile shield network will be increased in number and in geographical range. The first steps have been taken in the Baltic Sea with U.S. PAC-3 missiles and troops to arrive as early as next month and Aegis class warships with Standard Missile-3 interceptors not far behind. The USS Cole, upgraded to an Aegis-equipped guided missile destroyer, made port calls to the capitals of Estonia and Finland in the Baltic Sea region last November. In the latter half of 2009 the Pentagon’s Joint Task Force-East conducted almost three months of military exercises in Romania and neighboring Bulgaria which included training for U.S. Stryker and airborne units. In October it was reported that the Pentagon will spend $110 million to upgrade two of the seven bases it has acquired in Romania and Bulgaria since 2005; the revamped bases will house over 4,000 U.S. troops. He also reiterated that “Under [NATO’s] Article 5, an attack on one is an attack against all,”  according to the Pentagon’s website. By process of elimination it continued, “Turkey is very unlikely to host a land-based SM-3 system, because it would not dare position itself so aggressively against its Iranian neighbour. As an indication of how the bases can be used, on the eve of the invasion of Iraq in March of 2003 Agence France-Presse reported that “An air of secrecy surrounds the arrival of thousands of US military personnel at the Romanian Black Sea port of Constanta in preparation for a war on Iraq. The base in question is the Mihail Kogalniceanu Air Base north of Constanta, the main headquarters of the Pentagon’s Joint Task Force-East. When Romania’s President Basescu revealed U.S. missile shield plans for his nation on February 4, Lavrov again spoke out and said “We expect the United States to provide an exhaustive explanation, taking into account the fact that the Black Sea regime is regulated by the Montreux Convention,”  which prohibits warships of non-Black Sea nations from staying in the Black Sea longer than 21 days and bans the deployment of outside nations’ aircraft carriers. The two are inextricably connected and unless both are halted U.S. military provocations in the Black Sea, the Baltic Sea and the South Caucasus may lead to a new European conflagration. U.S. Missile Shield Plans: Retreat Or Advance?